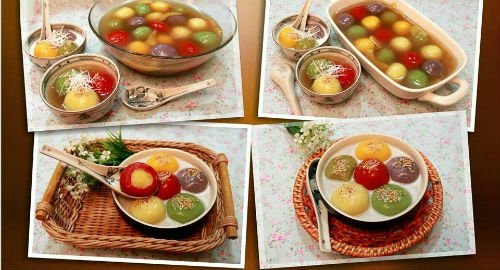 Rice balls sweet soup (or ‘che troi nuoc’ in Vietnamese) is one of popular traditional Vietnamese food consisting of balls made from green bean paste wrapped in a shell made of glutinous rice flour. 1.Soak mung bean for 20-30 minutes then purée it. 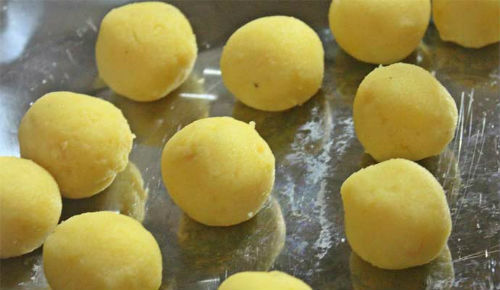 Fry the purée with a little salt until it becomes soft and divide it into small balls. 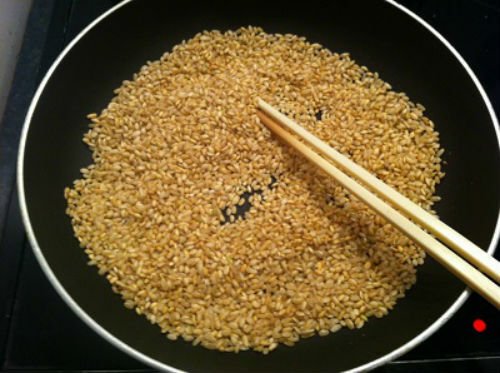 2.Roast sesame and wait for it to get cold. 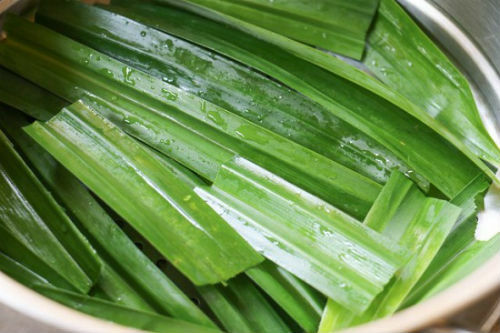 3.Wash pandan leaves and cut them into short pieces. 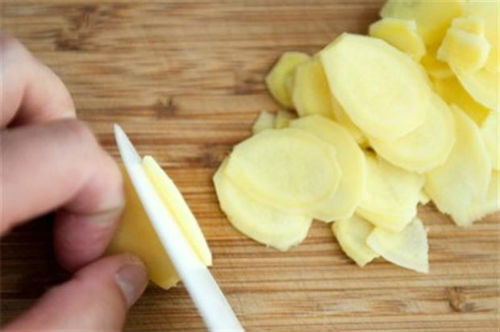 4.Peel off the cover of ginger, clean and slice thinly. You can learn how to cook Banh cuon here. 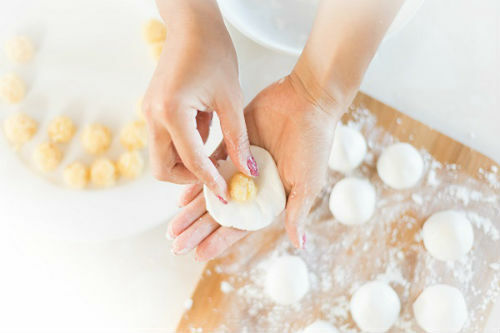 5.Mix water with glutinous flour until it is soft and smooth (pour slowly water in flour until you have that mixture). 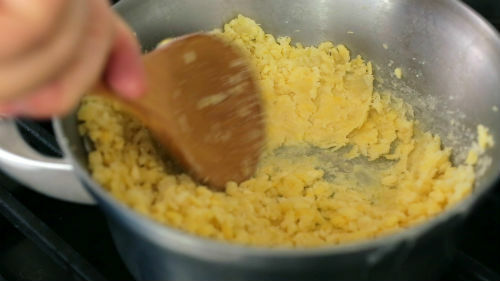 And then divide this mixture into small rice balls and incubate for about 20 minutes. 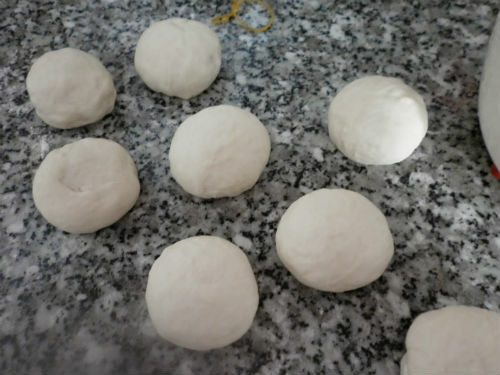 6.One by one, use hands to press thin rice balls and add mung bean stuffing in the center then cover it into the circle shape. 7. 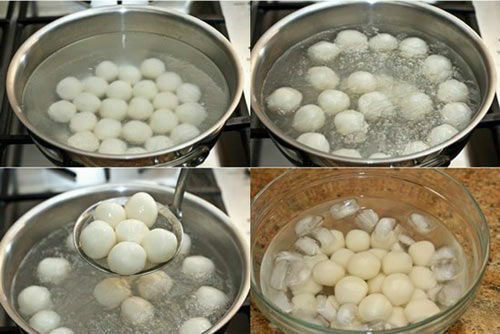 Boil the rice balls in water until they float on the face of water, then take out and soak them immediately in cold water. 8. 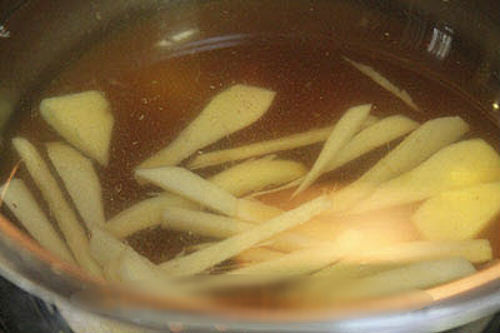 Add sugar, sliced ginger and pandan leaves into a pot with 1 litter of water, wait for it to hard boil and add rice balls into the sugar water. 9. 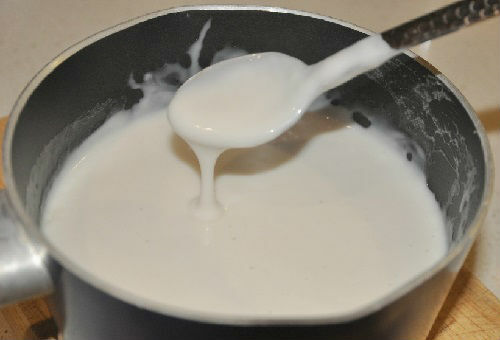 Make coconut syrup: Mix coconut milk with 1 or 2 tablespoons of tapioca flour and then cook this mixture with medium heat about 10-15 minutes, stir well and nonstop until it becomes thick. Color it: If you want to make this dish more attrative, you can color it by using natural ingredients mixed with flour such as pandan leaves (green), Gac (orange), pumpkin (yellow) and beetroot (purple).